Memorial Day, which was originally named Declaration Day, celebrates the memory of those soldiers who have died serving our nation in battle. While many may not agree with the act of war, I think we can all stand together and give homage to those who gave their life in the act of war. The history of this day dates back to the Civil War. Former enslaved African Americans celebrated this day to give honor to Union Soldiers who fought in the American Civil War, then after World War I, it honored all Americans who died in any war. 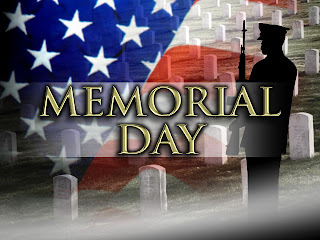 It has now become more general and many people use this day to honor the memory of their loved ones, in the service or not. B.M.M.O. Consulting would like to honor all the men and women who have given their lives in the line of duty while serving this country. We pay homage to those soldiers and their families who are still on the battlefield. We pray for your safe return.